Hello and good morning everyone! 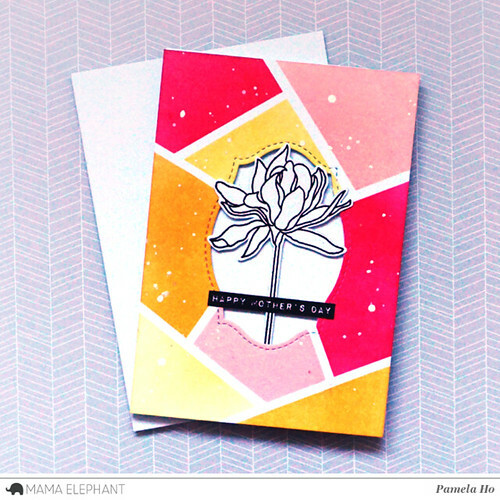 This is Pamela and I'm here with a *slightly* early Mother's Day card using the gorgeous floral stamp Pretty Lovely from the latest Mama Elephant's January release. 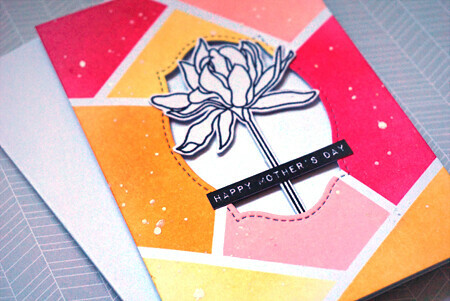 First, I used some masking tape and masked off some geometric shapes on my card stock. 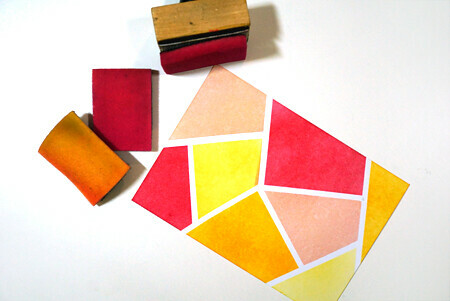 I wanted to go for a Spring colour theme so I used a combination of pink, orange, dark yellow, yellow and red. Next, I used the curly bracket die cut from Framed Tags - Chelsea to die cut a window in the middle. This is where I'm going to slip my flower in later. I stamped my flower in black on some white cardstock and left it as is. 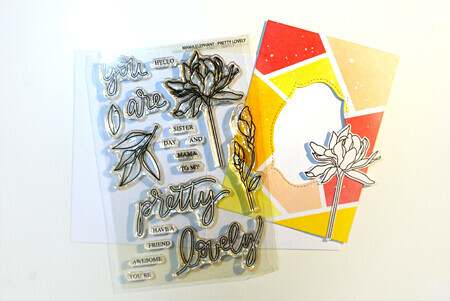 Since the card panel is busy with colours and shapes, I wanted to leave the flower simple in black and white. I slipped the flower in the window and adhered a sentiment from Occasional Labels. And there you go! Here's my finished card using the January release stamp sets. I love the splash of colour around a simple black and white focal point! Here's a close up of the card. The embossed stitching from the Framed Tags - Chelsea die cut adds a nice flair to the card! Beautiful creation!! 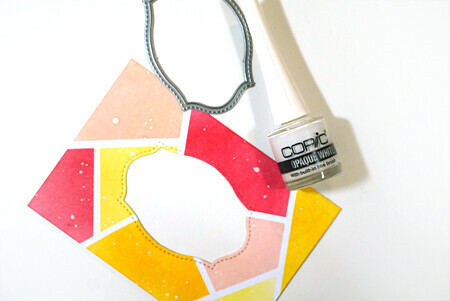 Your masking is perfect for the geometric pattern! WOW!!! the background is amazing!! !